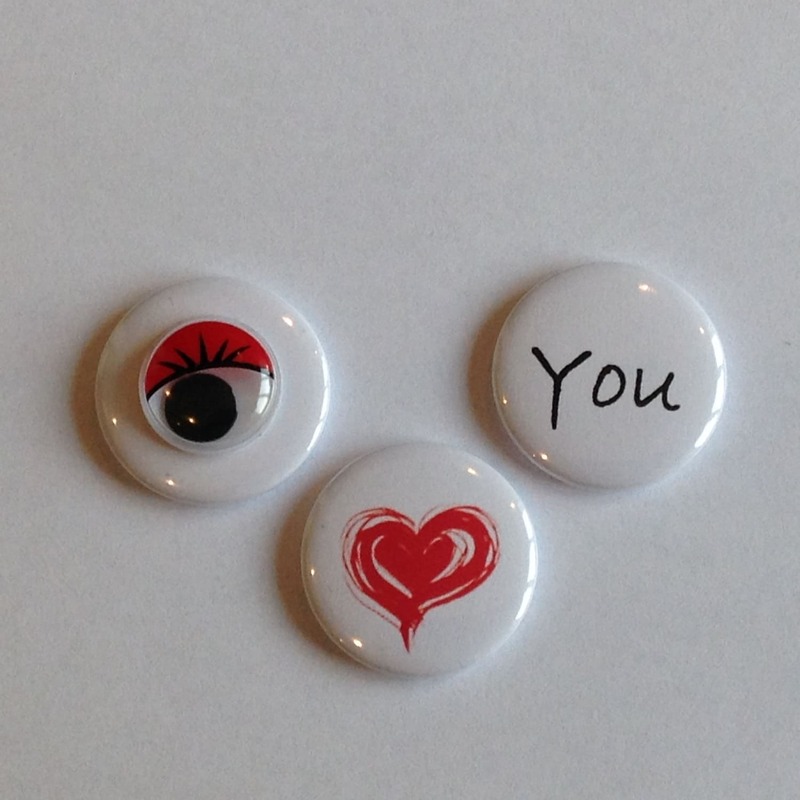 Cute 'I Love You' gift magnets complete with googly eye in replace of the 'I'. 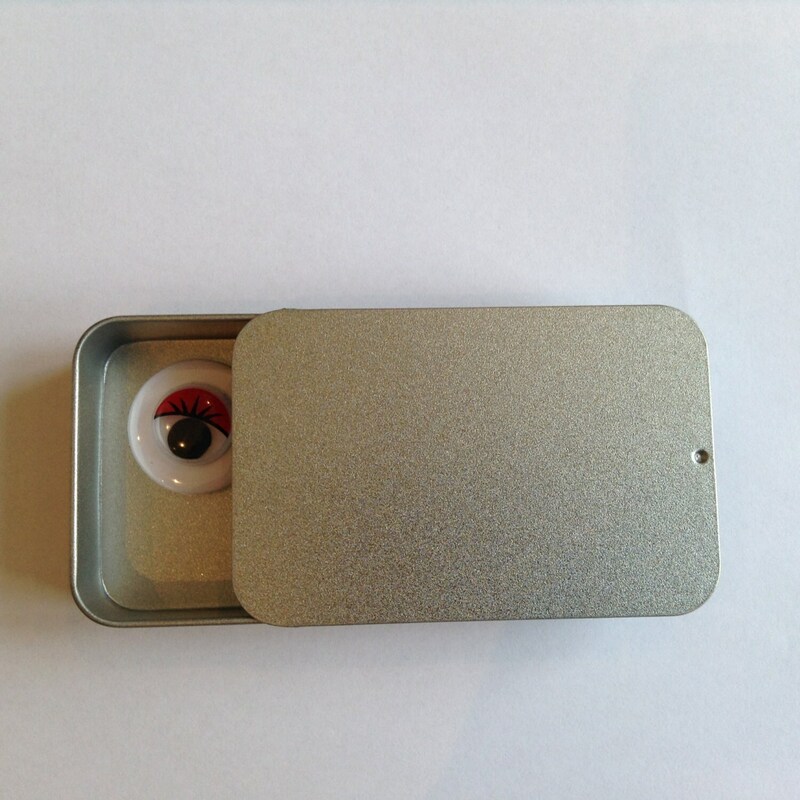 The perfect stocking filler or gift and comes complete with gift tin. 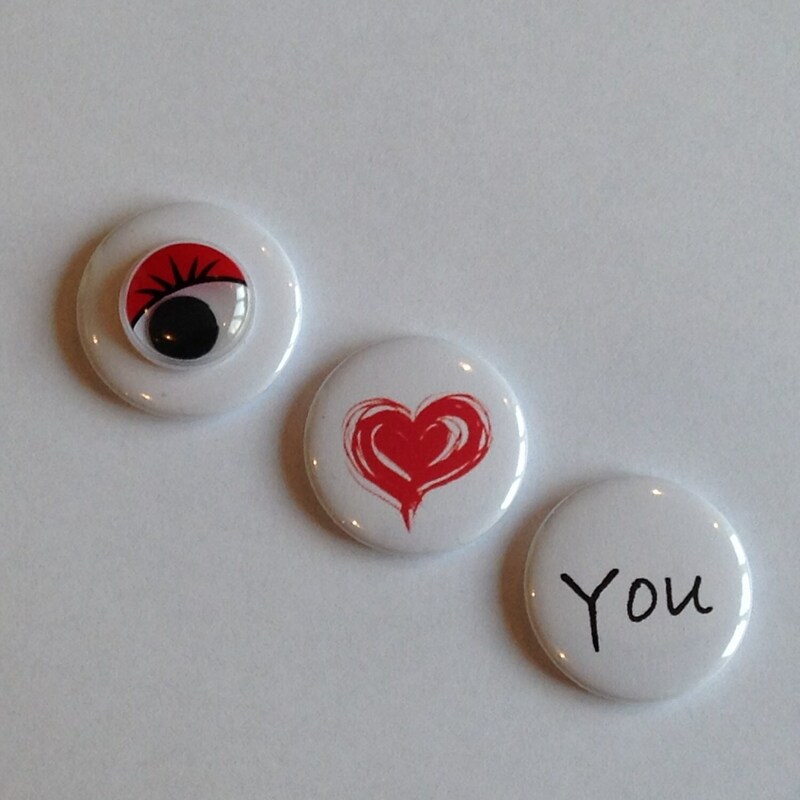 Perfect for your partner, friend, family member, Weddings, Anniversarys', Birthdays' the list is endless. 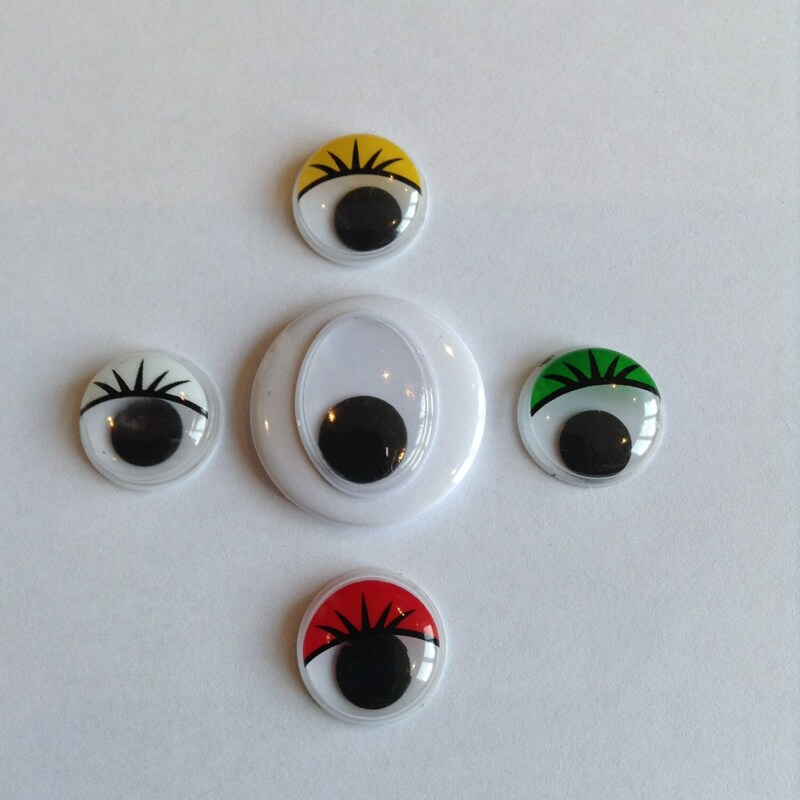 The googly eyes are available in white, green, red, blue and plain oval. 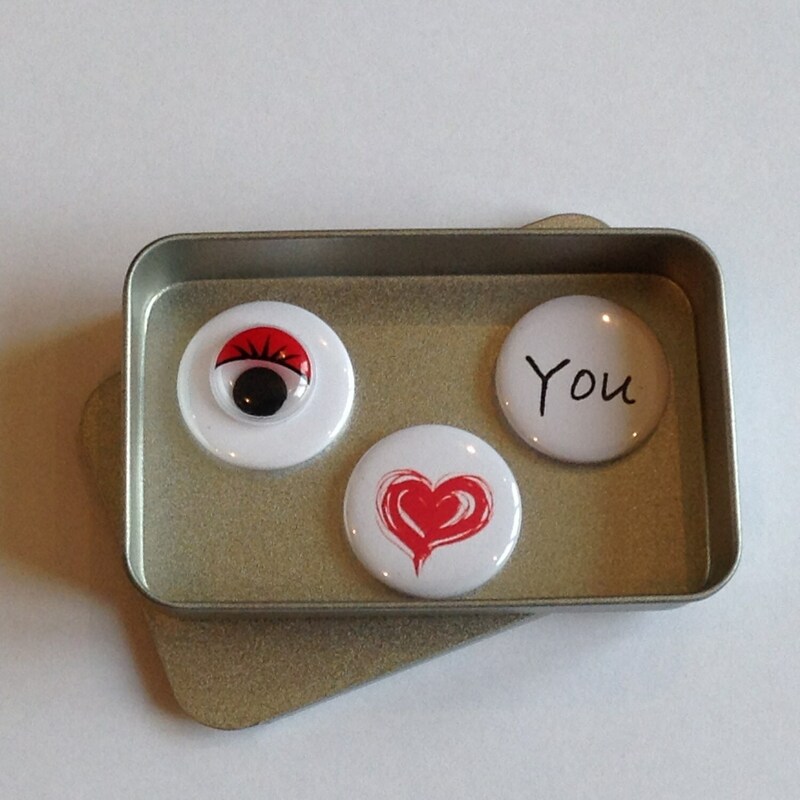 The magnets are 25mm in diameter and each set contains 3 magnets in a gift tin, with sliding lid, and measure 60mm x 34mm x 11mm.